In 2017, we stumbled across a national event called MFG DAY. Through student visits and community events, MFG DAY aims to prove that modern manufacturing is not the dark, dirty and dangerous industry of yesteryear. Rather, modern manufacturing careers are exciting, incredibly high-tech and highly in demand. It’s up to local communities to host their own MFG DAY and Lancaster didn’t seem to be doing much in the last few years. 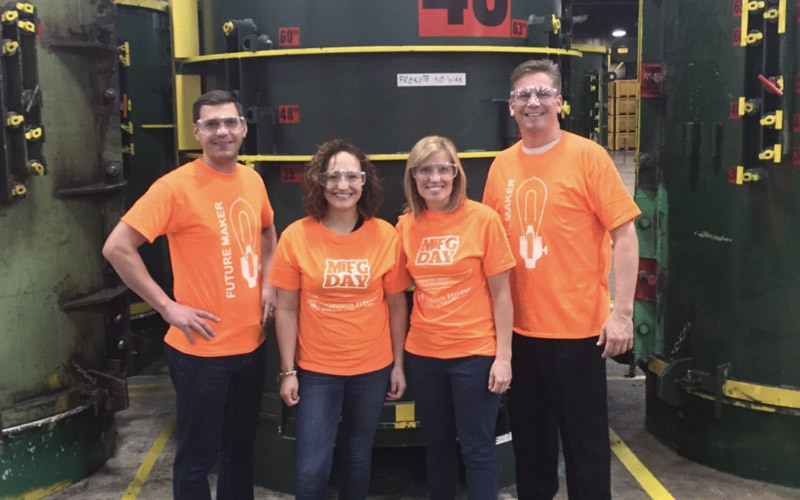 So, in 2017, Align stepped in to see if we could make MFG DAY bigger and better. So far so good. In our first year, we increased the number of students attending from 100 to 1000 and this year we are expecting over 3000 students to visit our county’s manufacturers. Lancaster county is home to over 3,000 manufacturers. Inside those companies are lots of highly talented, highly successful folks. These manufacturers offer many of the high demand, high pay careers that are the focus of efforts of organizations like the Lancaster Chamber and Lancaster’s Workforce Development Board. And yet, my friends in human resources tell me it’s next to impossible to find all the workers they need. We owe it to our kids to help them do better math and make better decisions when it comes to investing in their career preparation. MFG DAY is one small way that we can help money do more for the people we serve. Want to learn more about this upside down math… check out “Success in the New Economy” from Kevin Fleming.